Do you ever wonder when it’s the appropriate time to change your Honda’s oil? Whether you purchased a new Honda or certified pre-owned vehicle from our dealership, getting an oil change should be a top priority for any car model purchase. In fact, it’s the lifeblood of your Honda as you drive around Watertown, Connecticut. Evaluate your driving habits, learn more about the Honda maintenance schedule, and visit our certified Honda technicians very soon for your next oil change service. When you commute from Waterbury or Southbury, CT, you could put about 10,000 miles or more on your vehicle each year. For those constantly behind the wheel, you should have your oil changed every 5,000 miles or in six-month intervals. 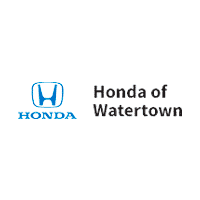 At our Honda of Watertown service center, your first oil change is free when you lease or purchase any new, certified or pre-owned vehicle from us. See our Lorensen Advantage package for all the value-added extras included in this special program. Is Your Car Only Driven on the Weekends? You might have purchased your dream Honda from us, and it’s not meant to be a commuting vehicle in your mind. If you’re the type of drive to only use the car for those road trips on the weekends, changing your oil once a year is acceptable. The vehicle may not even be at 5,000 miles yet, but the oil should still be changed. It can begin to clump after a year’s time within your oil pan. A fresh oil change lubricates all of the internal engine parts and keeps your ride running smoothly. While you’re waiting for your vehicle, look around our Honda showroom and see what new vehicles Honda has to offer and try out all the latest technology right at your fingertips! Contact our Watertown service center today with any question!